4 Hour Workshop – Connecting the speaking voice to the “core” voice is a step by step process. With this connection is a resonant sound that commands the speaker and the room. This training puts the speaker in control of their “human instrument” i.e. their voice and posture. This work benefits speaking, voice issues, confidence and vocal health. 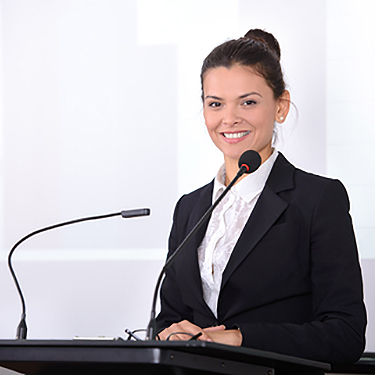 When connected to the full voice, the speaker becomes more believable, engaging and increased trust of the message being conveyed. This workshop is fun and empowering for beginners to advanced. It is a great introduction for people that are beginning to investigate their voice and voice issues and useful for those who may be more advanced.